WOMEN IN BLUE chronicles a day in the life of four women prisoners. 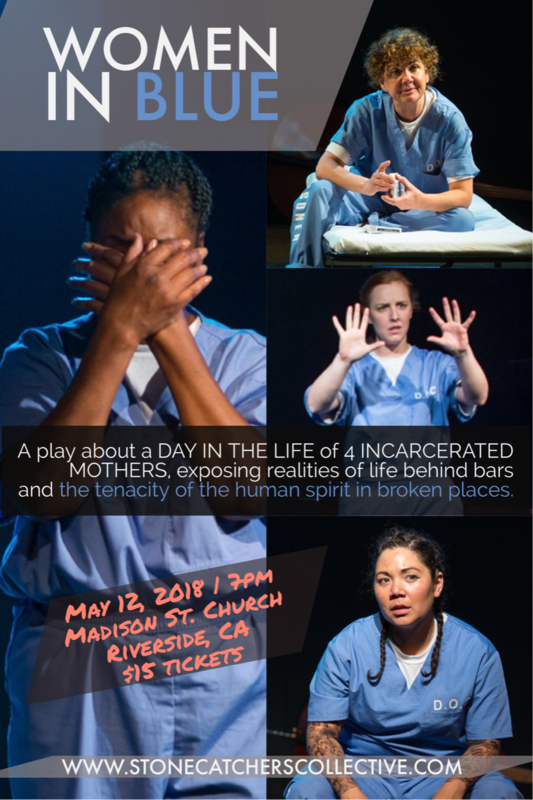 Inspired by true stories and the actors’ experiences teaching theater inside correctional facilities, this play humanizes incarcerated mothers while exposing the hidden realities of life behind bars. Through story-telling, mime, poetry, and music, light is shed on the tenacity of the human spirit in broken places. Women in Blue aims to bridge the gap of the free and incarcerated, bringing that which is out of sight into our minds and hearts.